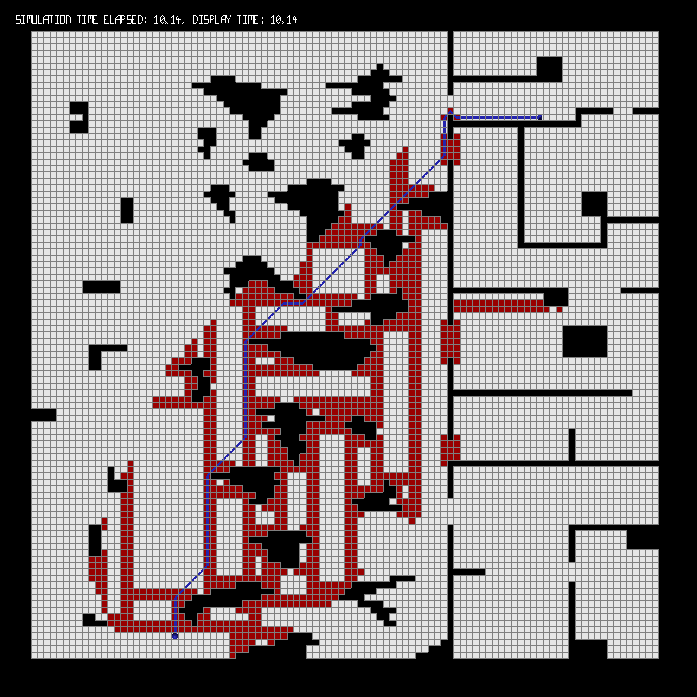 You can accelerate pathfinding on maps that contain open axis-aligned-rectangles – but what if a game has a similarly exploitable, but different pattern, diagonal rectangles, or trapezoids. If you simply apply the rectangle-based acceleration, you’ll get something (because the diagonal rectangles or trapezoids or whatever will contain rectangles), but not everything that you might get, with a customized heuristic. 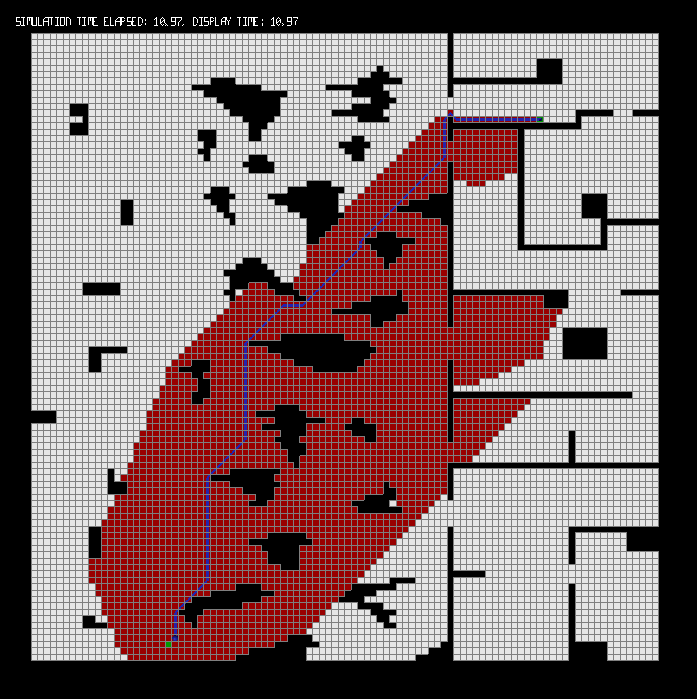 Can you take a description of a pattern – for example, a set of Wang tiles – and precompute a pathfinding algorithm that will be fast if the input matches those tiles? You make a good observation: sometimes rectangles are not the best choice for decomposing a map. The good news is that you could, in principle, apply any shape provided it is convex. Convexity is important as otherwise identifying symmetries becomes more difficult. 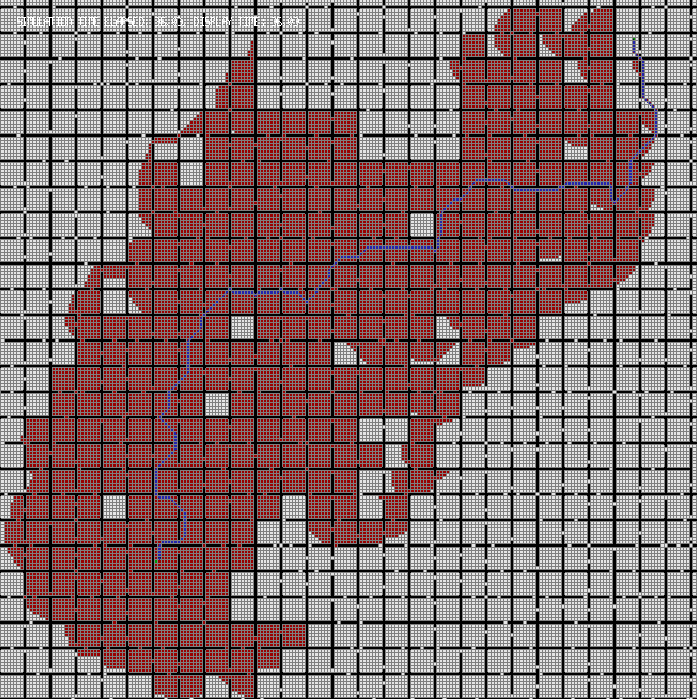 The trick is finding a nice algorithm to identify maximally sized convex regions on the map. 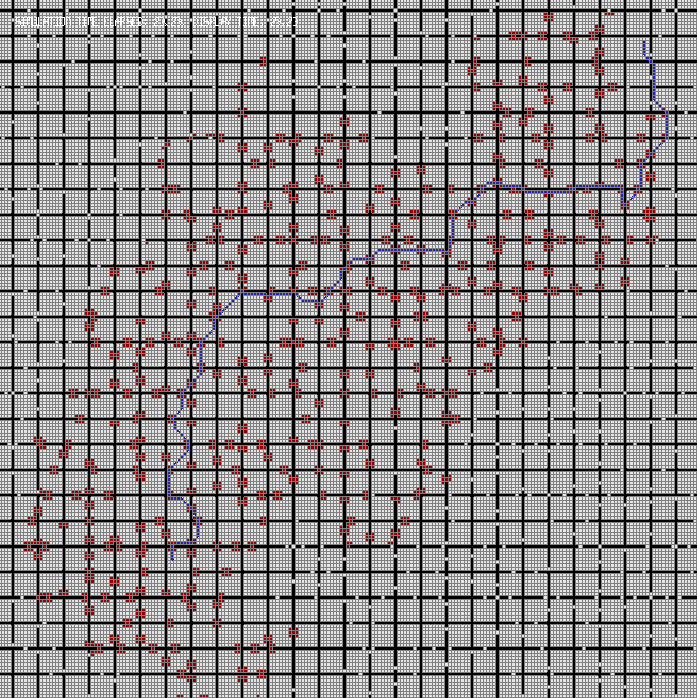 There are methods to do this from the computational geometry community but I never got around to playing with them. I’m not sure, but I don’t see any reason why your technique wouldn’t generalize to 3D. Thank you for pointing out that thread. Very interesting! 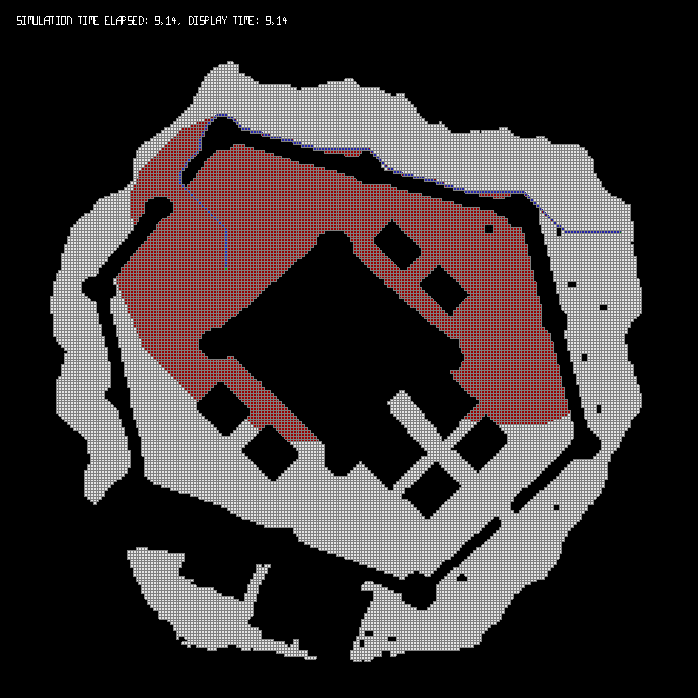 I’ll take a closer look at both it, and the maps you suggest, as soon as I get a chance. Also, you’re right: the method should be straightforward to generalise to 3D environments; you just need to a slightly different set of natural and forced neighbours.